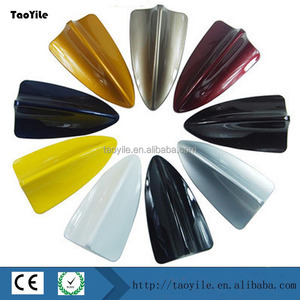 We are professional manufacture for WHEEL COVER and OEM car accessories products. We are also treading company for 30 years, we can supply all car accessories from both Taiwan and China. 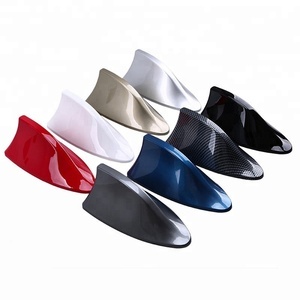 We have factories in Both Taiwan and China and professional supplier for car accessories. Wish you have a great start of finding good partner for your market. Wish you have a great start of finding good partner for your market. And please feel free to contact with me if you have any question or inquiries. Product Name very short decorative car roof antenna Item NO X-03 Material ABS Colour Black Car make Universal MOQ 100PCS Package Blister card Delivery time 2 days after confirms Packaging & Shipping 1 We will replay your inquiry in 12 hours 2 We will provide OEM service 3We have stock for many kind of item Q:Can I get free sample9 A:Yes,If we have in stock,but shipment should at your side. Q:How can I pay9 A:T/T,L/C,Western Union Q:Can I make my logo on the packing9 A:Yes,If you make big quantity,we can change the packing,if small quantity we can make logo sticker put on the packing. Q: What is the delivery cost9 A:For the shipment, there have three ways to ship,just tell us the destination,so we can check the shipping cost for you. 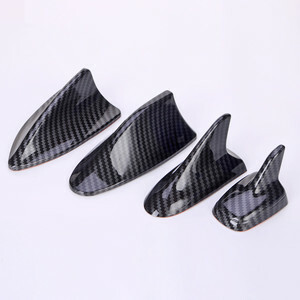 Small Car Roof Decorative Shark Fin Antenna 100PCS/CTN CTN Size: 45.5*38*38CM G. W/CTN: 13.5 KGS/CTN . 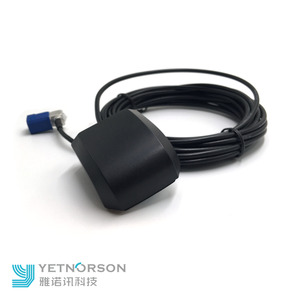 Q: Have gps gsm combo antenna 100% assembles well in stock9 A: No, all gps gsm combo antenna will be newly assembled according to your orders including the samples. Q: What's the delivery time9 A: 1-4 days for the sample, 5-10 days for quantity below 5K, 10-30 days for the quantity below 20K. Q: Could I use my own LOGO or design on goods9 A: Yes, customized logo and design on mass production are available. If your vehicle is fitted with factory Navigation / Mobile phone integration, please confirm the antenna to be replaced is for radio signal only. This antenna cannot replace integrated-type antennas with GPS and/or Mobile phone. : / Remarks: More models and business information, please contact us right now. 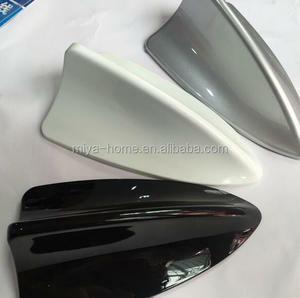 Alibaba.com offers 343 car roof decoration antenna products. About 43% of these are car antenna, 11% are antennas for communications, and 1% are tv antenna. 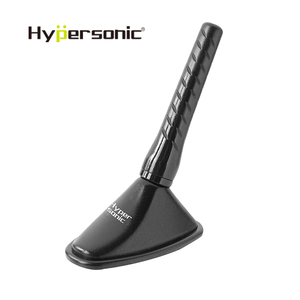 A wide variety of car roof decoration antenna options are available to you, such as free samples, paid samples. There are 264 car roof decoration antenna suppliers, mainly located in Asia. 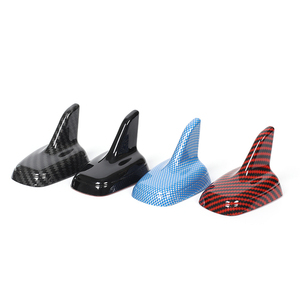 The top supplying countries are China (Mainland), Taiwan, and Hong Kong, which supply 93%, 5%, and 1% of car roof decoration antenna respectively. 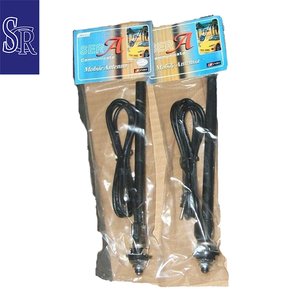 Car roof decoration antenna products are most popular in North America, Eastern Europe, and South America. You can ensure product safety by selecting from certified suppliers, including 80 with Other, 46 with ISO9001, and 29 with ISO/TS16949 certification.